On December 4, 2018 our Dennis and Yarmouth residents will have the opportunity to help foster the educational growth of our children for many decades by voting yes on building a new 4th – 7th grade regional district building. 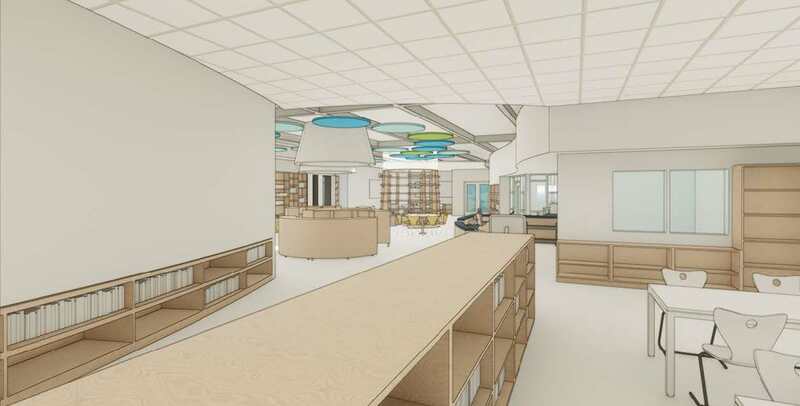 The proposed building will be a 21st Century learning facility that will replace two aging schools, Mattacheese and Wixon, that our current students attend. The new building will be centralized for all of our students to aid in their educational growth. It will limit the need for continual transitions and provide a learning environment that will build a foundation for their success in high school. The final recommendation to build this new school has been over six years in the making. Concentrated research and planning studies, including community focus groups were done over the past two years. Volunteer citizens and elected officials from both towns, as well as architects and building consultants came together to recommend a new middle school, from a field of six options, as the best option for both communities. The cost of the building will be $109 million. We are fortunate that the state of Massachusetts will provide 58% reimbursement of eligible costs. The remainder will be shared by the towns of Yarmouth and Dennis. Q: What schools are being replaced? 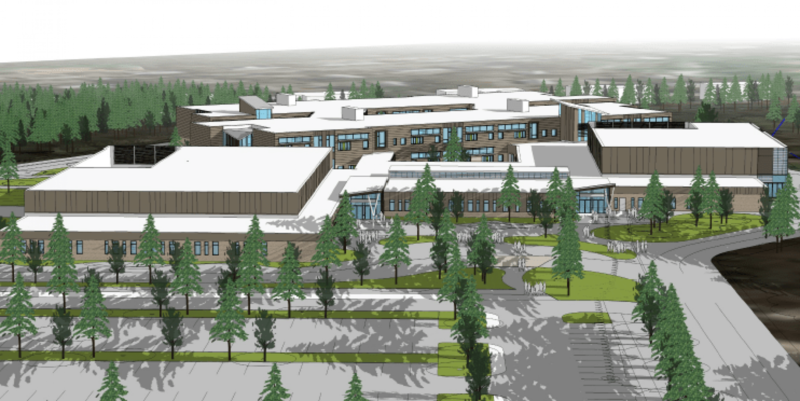 A: This building project will replace Mattacheese Middle School and Wixon Innovation School. The 940 student enrollment will service students in grades 4 through 7. Q: What provisions have been included in the proposed project to benefit Dennis-Yarmouth’s active older adult population? A building that will provide the space to establish much needed relationships between our younger and older residents. Q: What is the total cost of the building project? A: The estimated cost that will be funded by Dennis and Yarmouth taxpayers will be $72.9M. Included in this conservative estimated cost are the design, furnishings, technology, utility connections, move-in, and appropriate contingencies. The maximum MSBA grant is currently projected to be $44.06M. Final reimbursement numbers will be negotiated with the MSBA during the Project Scope and Budget Agreement in the coming months. The total project cost is $116.9M. Once the vote passes in December these numbers cannot be increased. The above figures are inclusive of all decisions made by the school building committee during the schematic design phase of the project. A:It is estimated that the property tax increase for Yarmouth will be $0.64 and for Dennis $0.27 per $1000 assessed value. This is based on a 25 year bond at 5.50% interest and level debt. Based on the median single family home ($293,600) in Yarmouth the estimated annual tax impact will be $187.90 or about $3.61 per week. Based on the median single family home ($354,700) in Dennis the estimated annual tax impact will be $95.77 per year or about $1.84 per week. Q: Where is the new school going to be located and why? A: The new school will be located on Station Avenue slightly behind and to the left of Station Avenue Elementary School. This is district owned property and doesn’t require any land taking or negotiations with the towns to locate the school on the property. This is a location that is central in the district. It will create a campus for the majority of our schools. One of the main concerns heard from community members during open community forums, building committee meetings, abutters meetings, and visioning sessions was that both middle schools are currently located at the far ends of the district. Parents were supportive of the central location which will limit travel time for students as well as parents. Most importantly, parents were very pleased that their children would be in the same school for four years. Q: When would construction start/end? A: Schematic design will be completed by December of 2018. Detailed design and bidding will take 10-12 months from there so new construction could start as soon as early 2020. Target opening would be fall 2021. The schedule above is contingent upon local funding authorization via voter approval at a special ballot question on December 4th, 2018. Q: What is the MSBA reimbursement rate for eligible project costs? What items are ineligible for reimbursement? A: The projected reimbursement rate is 57.68%. Reimbursement applies to eligible project costs only. Examples of ineligible costs include abatement of vinyl asbestos tile, moving costs, swing space, soft costs in excess of 20% of construction cost, site costs in excess of 8% of the direct building cost, and building cost in excess of $333/SF. Although assumed ineligible scope has been factored into the project district share, ineligible costs and space are reviewed and negotiated with the MSBA upon completion of the schematic design phase. Q: Where does the MSBA grant money come from? A: The MSBA is funded through 1% of the states 6.25% sales tax. Each year, the MSBA receives more than 150 applicants for project funding and selects approximately 20 recipients to be invited into the Core Program. Q: How will the cost be split between Yarmouth, Dennis, and the State? A: The amount that will be paid by each town is based on the capital apportionment set forth in the regional agreement. In the current regional agreement, the apportionment is based on the student enrollment from each town. Enrollment from Oct. 1, 2017 is shown in the table below. Q: How are Dennis’ and Yarmouth’s share of the project costs funded? A: The project will be funded through a Debt Exclusion, which is a temporary increase to property taxes in order to pay for the costs of the project. Debt exclusions can be funded over a period of 20, 25, or 30 Years, once the debt has been paid in full, the temporary tax increase will disappear. Q: Does the District need to borrow the entirety of the $116.9M estimated project cost? If so, what happens to the reimbursement payments from the MSBA, where does that money go? A: While the District of Dennis-Yarmouth will vote to support the project, each town does not need to borrow the full amount for the project, just the anticipated share ($72.9M) x (33.19% Dennis) or (66.81% Yarmouth). Reimbursements of eligible costs are made by the MSBA on a monthly basis. Upon completion of the schematic estimate reconciliation process, a comprehensive cash flow projection will be developed by the Owner’s Project Manager which will forecast the anticipated district’s out of pocket expenses at any given point in time. This cash flow projection can then be utilized to limit borrowing to only what is absolutely necessary to keep the project moving along, thus keeping borrowing charges to a minimum. Q: When is the budget locked in? What assurances do we have that the building committee will not seek further increase to budget upon completion of design? A: The Building Committee intends on going for one and only one debt exclusion, on December 4th, 2018. At that point the designer’s contract will include a design-to-budget clause based upon the authorized budget to prevent scope creep. Q: I don’t have children in the school system and I am concerned about an increase to my taxes, what assurances do I have that costs will be kept down? A: Keeping costs down is a priority, and it will continue to be right through project closeout. It is understood that many folks affected by this decision do not have children in the school system. Comparatively speaking, the cost per square foot of the proposed school project is on par with that of neighboring districts going through the MSBA’s process at the same time as Dennis-Yarmouth. Q: Will local contractors be employed to build the school? A: The School Building Committee voted unanimously to proceed with the Chapter 149 Construction Delivery methodology. This is more commonly known as General Contracting or Design-Bid-Build (DBB). The District will prepare detailed construction drawings and will then require pre-qualified contractors to bid on those drawings. General Contractors and Filed Sub Bid Contractors must be certified by the Division of Capital Asset Management and Maintenance (DCAMM) and meet other state law requirements. Local builders may or may not be able to meet these requirements. This process does create opportunity for local contractors to meet the state requirements and potentially work on the school building project. However, new schools can attract families to a community. This may create indirect opportunities for new homes and renovations that may be done by local contractors. Q: What about M. E. Small School? It also needs repairs. A: Every district wishing to receive state grant money to renovate or build a school must submit a Statement of Interest (SOI) for that building. If a district has more than one school in need of repairs it must prioritize them. The DYRSD began applying for the Massachusetts School Building Authority (MSBA) grant for Mattacheese and Wixon in 2011. DYRSD reapplied every year for five years before being accepted. Based on the 2008 professional review of the physical conditions found in all Dennis-Yarmouth schools Mattacheese was our first priority, followed by Wixon. Knowing that the MSBA typically selects only one school from a district at a time we didn’t submit the first SOI for M.E. Small until 2016 after Mattacheese was invited into the process. On April 11, 2016 the Dennis-Yarmouth Regional School District was notified by the MSBA that the Board of Directors had voted at their March Board meeting to invite the Mattacheese Middle School into the MSBA’s Eligibility Period. This 270 day period begins the MSBA grant approval process. If successfully completed the District would be eligible for an MSBA invitation to Feasibility Study. At a meeting with the MSBA on September 1, 2016 to discuss enrollment we were asked if we were interested in consolidating the enrollment of Mattacheese and Wixon into one school. On October 6, 2016 we were notified by MSBA that we had permission to study both a Mattacheese project for grades 6-7 and a combined Mattacheese/Wixon project for grades 4-7 during the feasibility study. We were not given permission to study any other configurations or schools at that time. If we chose we could have changed course to study other configurations, but it would have required us to reject the SOI, go back and develop a new plan that further examined district needs and the best direction for both towns. This would have resulted in giving up the opportunity that was currently on the table with MSBA. Q: What will happen to the Mattacheese and Wixon School buildings? A: Each town respectively owns the school building located in that town. The decision on what will happen to the existing buildings will be made by each Board of Selectmen and its citizens. Q: Why can’t we just repair the old buildings? A: The estimated cost to repair Mattacheese now ($42.7M) and Wixon five years from now ($40.1M) is $82.8M and does not resolve many of the significant issues that currently face both Mattacheese, Wixon, and the District. An addition/renovation option which does solve many of these issues and satisfies the district’s approved Educational program, thus securing state funding, has been studied and found to be no less expensive than building new. Furthermore, a new centrally located building lends itself to better energy efficiency and lower long-term operational/maintenance costs, resulting in additional savings for years to come. Q: What happens if the voters do not pass a special ballot question on December 4th, 2018? A: The MSBA allows for no more than 120 days to secure project funding from the time the MSBA Board approval of the project scope and budget, slated to occur on December 12th, 2018. If a district fails to authorize funding within the allocated period, then the project is removed from the MSBA’s pipeline and the funds are offered to the next district in need of a new school. Should the project receive another invitation from the MSBA at some point in the future, the MSBA will require that the Feasibility Study and the Schematic design be restarted from the beginning and be 100% funded by the district, without reimbursement form the MSBA. Due to the number of districts in need, it may take 7 years, or longer, for the district to receive another invitation in the MSBA program. Q: What happens if the towns decide to de-regionalize? A: De-regionalization is a complicated process. In the last thirteen years both towns have studied it independently and have come to the same conclusion: It is more cost effective to remain a regional district especially in a location with declining student populations. The way the regional agreement is written neither town can de-regionalize on its own without agreement from the other town. If both towns were to agree to de-regionalize then part of that process would include negotiating and putting together an agreement regarding district assets. This process is in the hands of the School Committee. Finally, any changes to the regional agreement have to be approved by the MA Commissioner of Education before they are brought to the towns for approval.